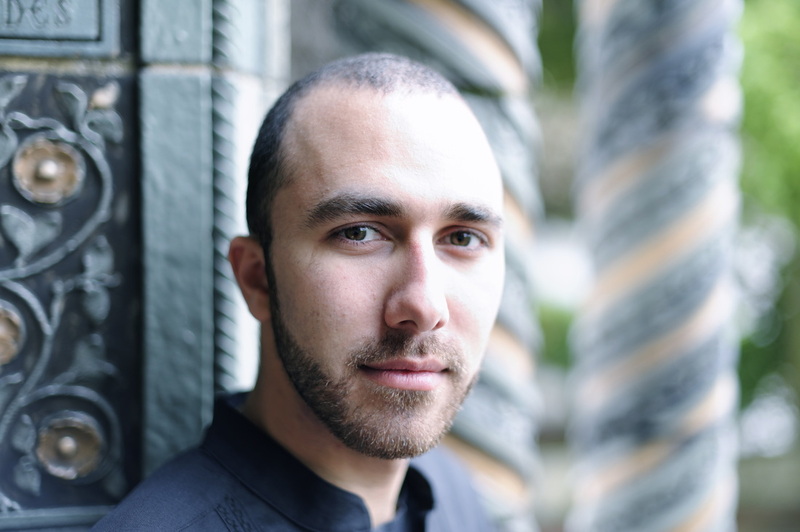 Armenian-American conductor Tigran Arakelyan is the Music Director of Bainbridge Island Youth Orchestras, the Federal Way Youth Symphony and the Artistic Director/Conductor of Port Townsend Community Orchestra. Previously, he was the assistant conductor of Los Angeles Youth Orchestra, Whatcom Symphony Orchestra, Northridge Youth Philharmonic and the associate conductor of Rainier Symphony. For three seasons he was a Senior Conducting Fellow with California Philharmonic which is comprised of musicians from LA Chamber Orchestra, LA Opera and other professional orchestras. Arakelyan was named a finalist for The American Prize—Vytautas Marijosius Memorial Award in Orchestral Programming. In 2017-2018, he will lead collaborations with the Olympic Performance Group, Evergreen Choir, Olympic Girls’ Choir and guest conducting engagements with the Inverted Space Ensemble and Bainbridge Symphony Orchestra. His recent conducting engagements were with the Fort Wayne Philharmonic, Olympia Chamber Orchestra, Armenian Pops Orchestra, and Centum Youth Orchestra (S. Korea). Arakelyan toured South Korea twice (2014, 2017) with the Federal Way Youth Symphony conducting over a dozen concerts from Seoul to Busan. He initiated the Bainbridge Island String Orchestra Festival (2017) with award winning guest artist Andrew Joslyn and the Port Townsend Chamber Orchestra (2018). Arakelyan was the Music Director of Whidbey Island Orchestra (WA), Lark Musical Society Youth Orchestra (CA) University of Washington Campus Philharmonia, UW Summer Orchestra and the Founder Conductor and Artistic Director of Cadence Chamber Orchestra (WA). He has been instrumental in initiating innovative collaborations with composers, soloists, visual artists, dancers, and choirs. Arakelyan helped in creating youth scholarship programs, festivals, young composer competitions, and led orchestral performances at unconventional venues. He conducted the Pacific Northwest premiere of Paul Hindemith Kammermuzik Nr. 1. Arakelyan has also conducted the Yakima Symphony Chamber Orchestra, University of California Los Angeles Philharmonia, Redmond Academy of Theatre Arts, Korean Music Association Choir (WA), Inverted Space Modern Ensemble, U.W. Symphony, California State University Northridge Symphony, CSU Northridge Discovery Players, and the Nimbus Ensemble (CA). A strong advocate of new music, he premiered works by Iosif Andriasov, Stepan Rostomyan, Eleanor Aversa, Jeff Bowen, Jon Brenner, Arshak Andriasov, and Felipe Rossi. Recently, he commissioned a work by international award winning composer Yiğit Kolat. Arakelyan played alongside Sir James Galway during his induction into the Hollywood Bowl Hall of Fame with the Los Angeles Philharmonic. He is a three time recipient of the Armenian General Benevolent Union (AGBU) Performing Arts Fellowship, Edward Hosharian Award, and the Armenian Allied Arts Competition (1st place), among others. Arakelyan participated in the Conductors Guild Workshop, Pierre Monteux School for Conductors, Idyllwild Music Festival, Dilijan Chamber Music Series, Seasons Festival Academy, and Fairbanks Summer Arts Festival. He conducted in masterclasses with notable conductors David Loebel, Frank Battisti, Donald Thulean, Ennio Nicotra, David Effron, Neal Stulberg, Michael Jinbo, and Lawrence Golan. Arakelyan received a Doctorate in Musical Arts degree in conducting from the University of Washington. His primary conducting studies are with Ludovic Morlot, David Alexander Rahbee, John Roscigno and flute studies with John Barcellona, Paul Taub, and Laura Osborn. Arakelyan played in flute masterclasses with Stephen Preston and Shigenori Kudo.​ Outside of conducting, he is the founder and host of Off the Podium Music Podcast where his guests are renowned musicians and artists.